"Laura’s latest fragrance inspiration combines two of her favorite notes to create a unique interpretation all her own. The soft sensuality of Amber blends effortlessly with the warm comfort of Vanilla to create a fragrance of feminine elegance and sophistication. Infused with fresh floral notes of Tangerine, Tiger Orchid and Heliotrope, and enhanced by Almond, Brown Sugar, Coconut and musky Sandalwood, the effect is an intimate, personal fragrance that is rich, yet discreet. This one wraps itself around you and makes you feel completely at home…and you’ll feel as if it was created just for you. Indulge yourself in Ambre Vanillé." 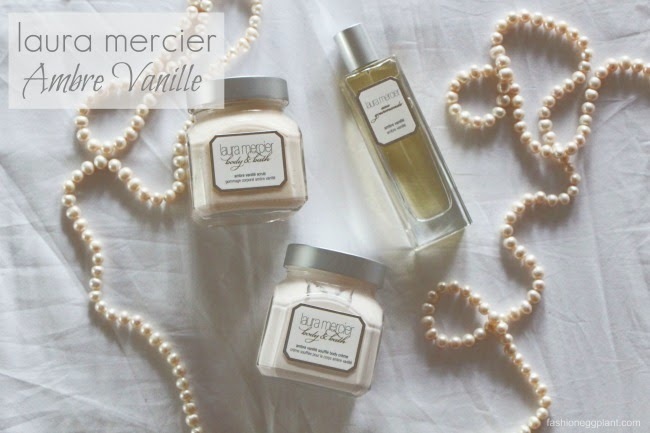 I normally use my copies purely as reference and prefer to word things on my own but after trying out the product, I couldn't come up with a better way to convey the luxurious feeling Laura Mercier's new bath and body scent, Ambre Vanille, brings to the table. It's one of those rare scents that make you want more. It made me want to envelope myself in its creamy presence and just indulge. 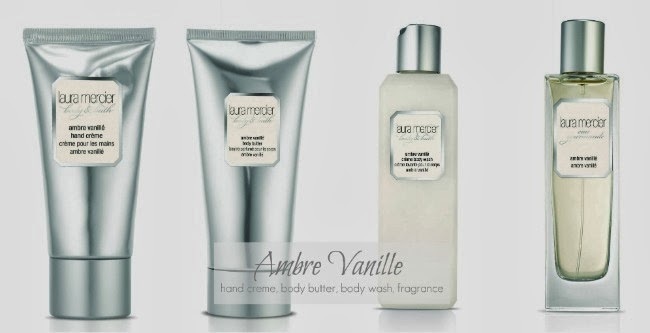 Laura Mercier's Ambre Vanille come in a full range of Bath and Body Products so you can "layer your scent" and make sure it lasts all day. Use the Honey Bath when you want the stress of the day to disappear in a warm hot bath. Just use the honey dipper and twirl under running water. The body wash is perfect for on the go days, layer with souffle body cream to keep your skin smooth without the hot, sticky feeling or use the more intensive body butter on super dry and rough areas. Finish off with the fragrance to keep you smelling yummy all day. Laura Mercier's Ambre Vanille is modern, intimate and sophisticated. Check it out at all Laura Mercier counters in The Beauty Source of Rustans Department Stores nationwide.